A few years ago, I made my first items of felt food for my daughter's new play kitchen. 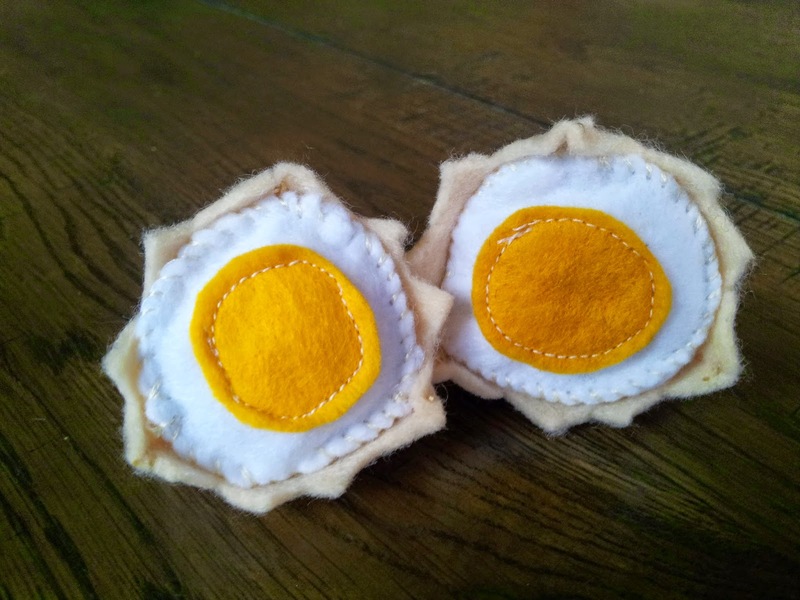 I have posted a few tutorials here on my blog for these in the past, the most popular being my felt breakfast patterns and tutorials (found here). In that past post you can find instructions to make bread, fried eggs, sausages and croissants. In this post, I am going to share a pattern and instructions for bacon, scrambled eggs and a boiled egg. You can download the paper pattern here: PATTERN: Felt bacon, scrambled eggs and boiled egg. The instructions are posted below the following photos. 1. Cut out two bacon pieces from brown felt, and a strip of lighter brown felt (0.75cm wide) to make the stripes. 2. Follow the markings on the pattern. Pin the lighter brown felt along along the two stripes and sew along the centre of each stripe to fasten it to the top layer of the bacon. 3. Place the back layer behind and sew close to the edges to attach the front piece to the back and add thickness to the bacon. The scrambled eggs are easier to make by hand. 1. 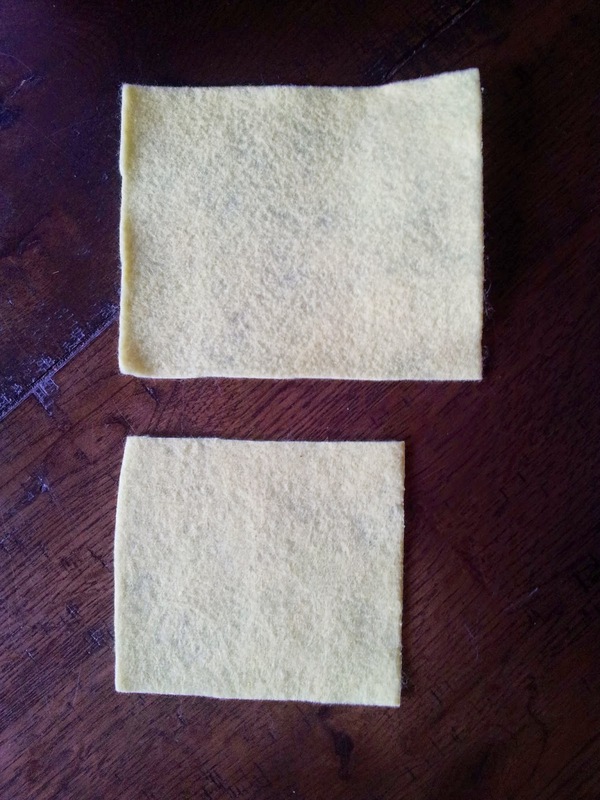 Following the measurements on the paper pattern, cut out two rectangles of pale yellow felt. 2. 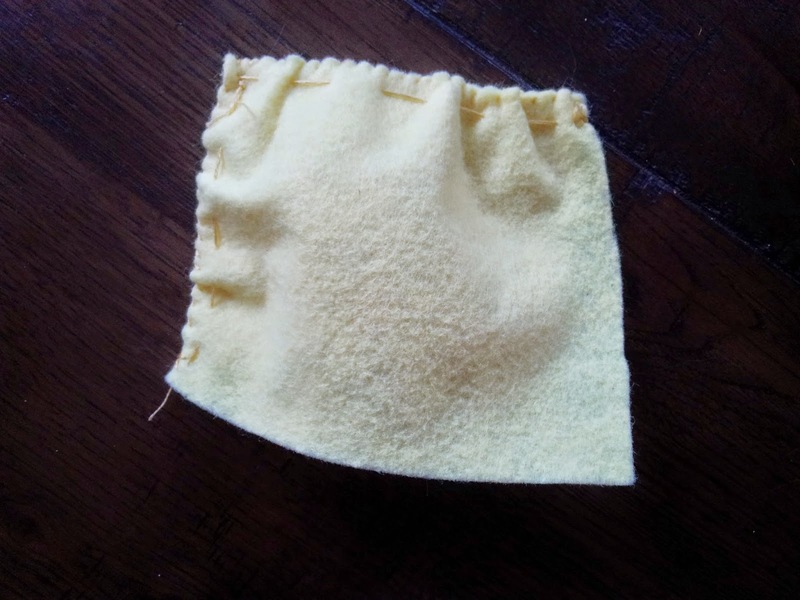 Sew a gathering stitch (long loose stitches fastened at the starting end) along one side of the larger piece and pull the thread until the gathered length matches the length of the smaller piece. 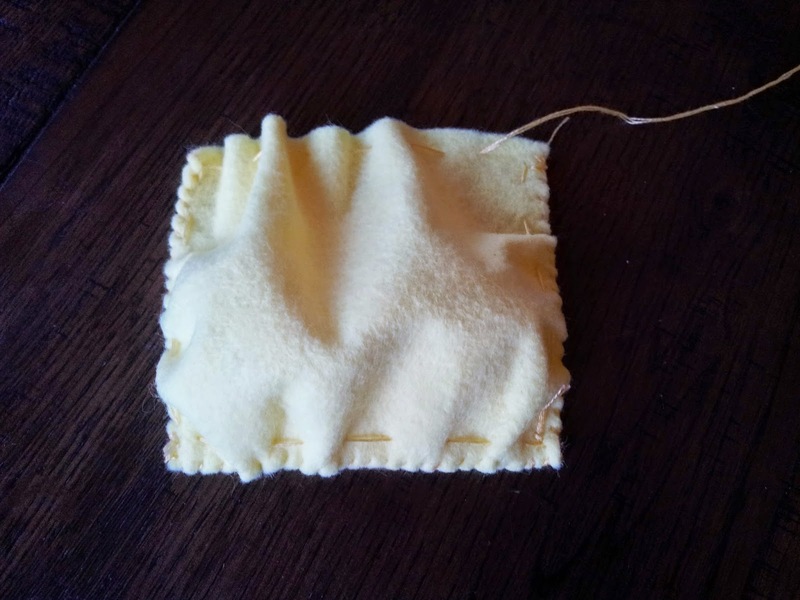 Pin together and sew using a small stitch. 3. Repeat this gathering and sewing step until the last side. 4. 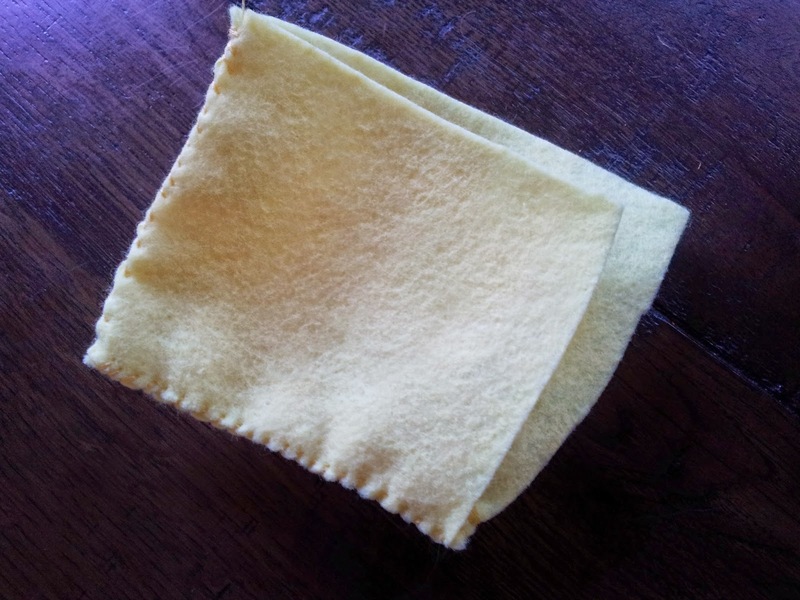 Fill loosely with stuffing and close the last seam. Remove all the gathering stitches. 5. 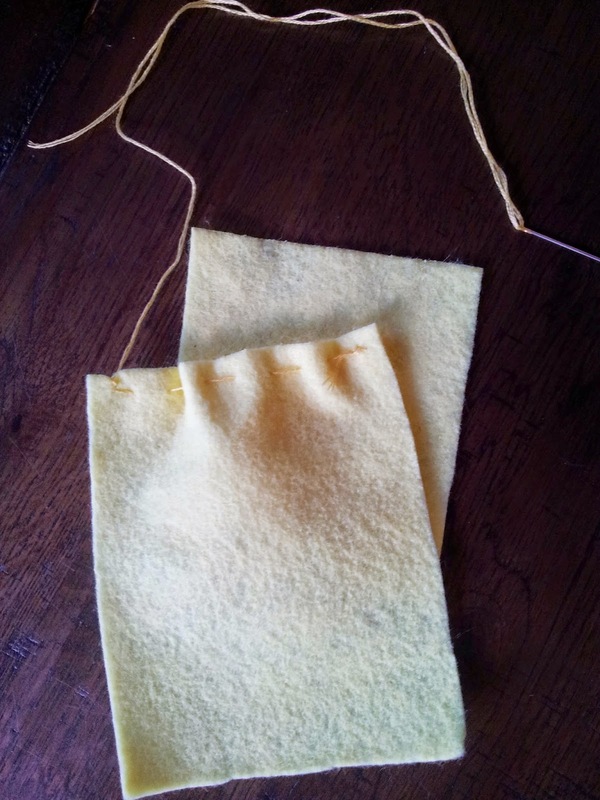 Feed the needle through the inside and pick up enough thickness of felt from the inside to pull and create some puckering. If done correctly, you will not see the stitches from the outside. Repeat until you have a similar effect to what you see below. Cut out the same pieces for the smaller part of the egg. 2. 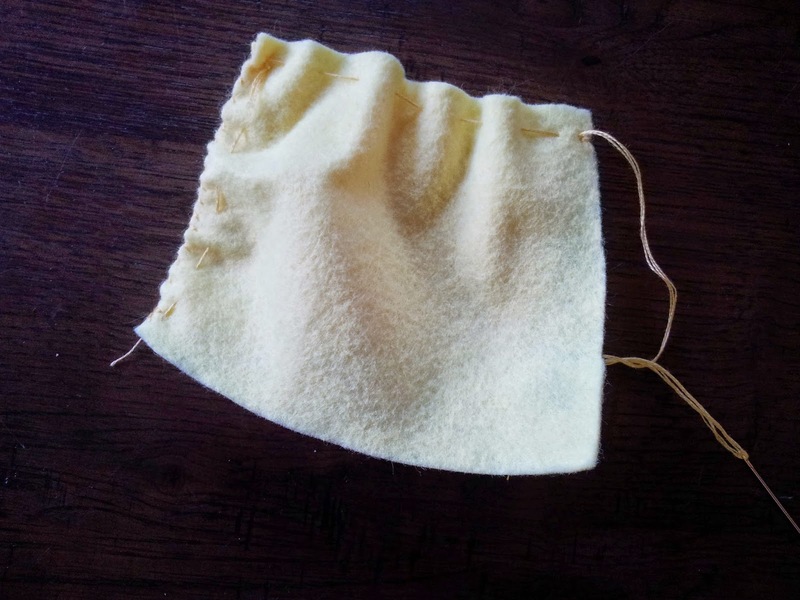 Place two of the white side pieces wrong sides together and use small hand stitches to sew them together along one side. 3. 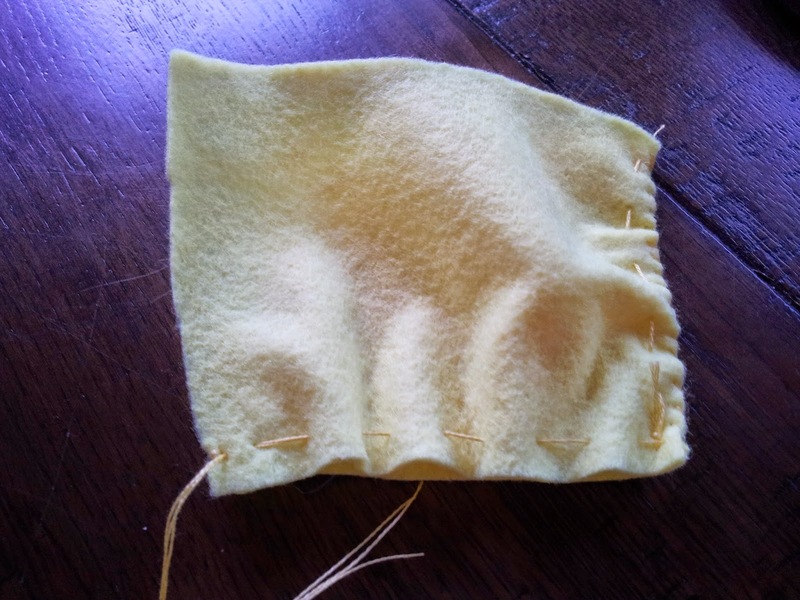 Place the other side piece wrong side together to the un-sewn sides and sew down these side edges to form the egg shape. 4. 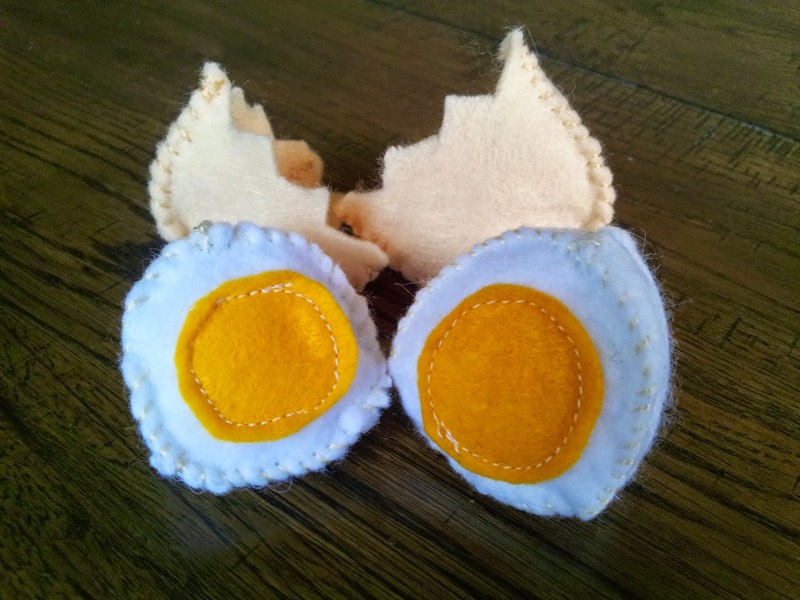 Sew the small yellow circle to the centre of the white circle to form the top of the egg. 5. Place this top on the open top of the curved egg shape formed in (3.) and attach these together by sewing around the circular edge. 6. Repeat these steps to form the smaller part of the egg in the same way. 7. Sew the three pieces of each part of the egg shell together in the same way. When these are complete, cut a zig zag along the top edges to make the 'cracked' effect. Sewing tutorial: Cuddly little koala softie toy!